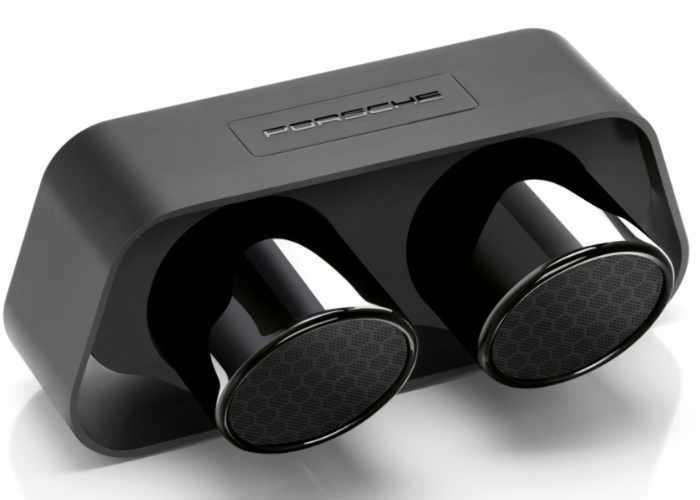 Porsche fans looking for a unique speaker may be interested in this new creation which uses the tailpipes from a Porsche 911 GT3 which have been used to hold the speakers in place and surrounded by an aluminium housing to support them in midair. Priced at $570 the new speakers are available to buy directly from Porsche Design and come equipped with a rechargeable battery that is capable of providing up to 24-hours of continual playback. 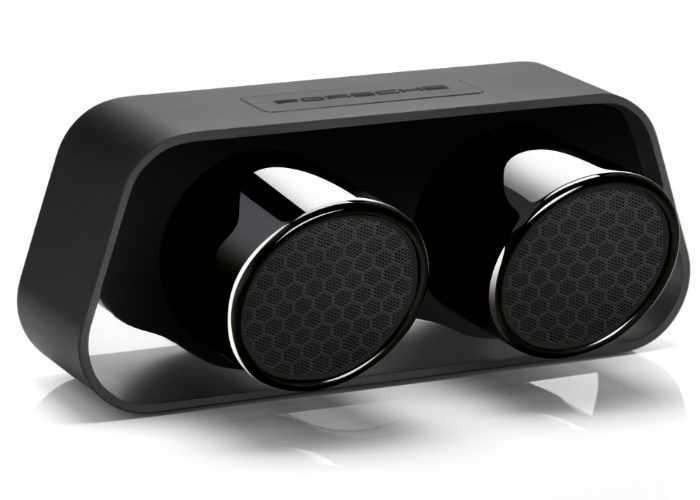 The High-end Bluetooth Speaker built with the original exhaust-pipe from the 911 GT3. High-quality materials including an aluminum housing. Bluetooth 4.0 and apt-X technology for a wireless music transfer from smartphones, tablets or PCs at CD quality. 60-watt system performance plus true wireless mode for pure stereo sound. Easy connection with devices via NFC technology, and battery time for 24 hours of music pleasure. Dimensions: 290 x 155 x 120mm, weight 3.3 kg. For more information on the new Porsche Design 911 Speaker jump over to the official Porsche Design website for details by following the link below.